Abdul-Hakim Shabazz may be new to WIBC, but he is not new to Indianapolis. He has been covering and writing about state and local government in Indiana since 2004. Prior to that he covered government and politics in Illinois. Overall, he has more than 20 years of experience in writing and talking about the issues that affect real people. He goes beyond the headlines and tells you not only what’s happening, but why it’s happening. In addition to listening to him on Saturdays from 2 – 4pm You can catch his writing in the Indianapolis Star, NUVO Newsweekly and TheStatehouseFile.Com. 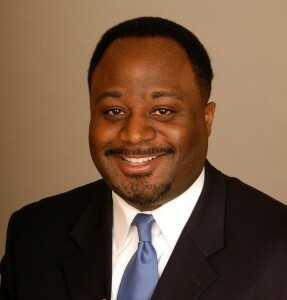 He’s also a frequent panelist and contributor to RTV 6’s Indianapolis This Week and Inside Indiana Business. Abdul got his degree in broadcasting and journalism from Northern Illinois University. He has a Master’s Degree in Public Affairs from the University of Illinois and a law degree from St. Louis University. In addition to having been a reporter and broadcaster, Abdul is also an attorney. He serves as “Of Counsel” at the Indianapolis law firm of Lewis & Wilkins. Abdul also teaches, he serves on the faculty at Ivy Tech Community College and the University of Indianapolis. He teaches speech for Ivy Tech and business law at UIndy’s MBA program. Prior to coming to Indianapolis, Abdul was an assistant and policy adviser to the Illinois Attorney General, and has been a television and radio reporter in Central and Northern Illinois.